Last week, two deaths made the front page of the New York Times. The entire world was moved when Aretha Franklin left us on Thursday. So many fine words have been penned about her watershed career that I hardly dare add my own. But I am struck by a number of writers and commentators who have noted that Aretha changed singing in America, that you can chart the very art of popular singing in two categories: pre- and post-Aretha. I know that hearing Aretha holding forth at gale force—with a voice one of Robert Christgau’s students once described as “wild and controlled”—preconditioned me to fall in love with the voices of female griots in West Africa, equally unbridled, but also controlled, evoking the most powerful and ancient of passions. Of course, there are real connections between these things, connections wound within the shrouded strands of the oldest African-American history. It was always the wild side of Aretha that thrilled me most, but she moved the world in so many ways. Angelique Kidjo, wrote, “Aretha: You're the reason why I'm a singer today.” And that was based simply on an album cover. Aretha Franklin’s passing is as significant an event in American popular culture as one can imagine—a moment when spirituality, history, social evolution, musical and commercial achievement, the very nature of the art of singing and so much more, come crisply into focus. The sheer pleasure of hearing Aretha’s immortal performances this week has probably been the most unifying experience this country, and even this world, has known recently. Less unifying was the passing of a very different figure, the one noted on the Times’s front page last Monday, the writer V.S. Naipaul. To some, it will seem passing strange to speak of these two figures in the same breath. Perhaps death has a wicked sense of humor in creating such an emotional crossfire. 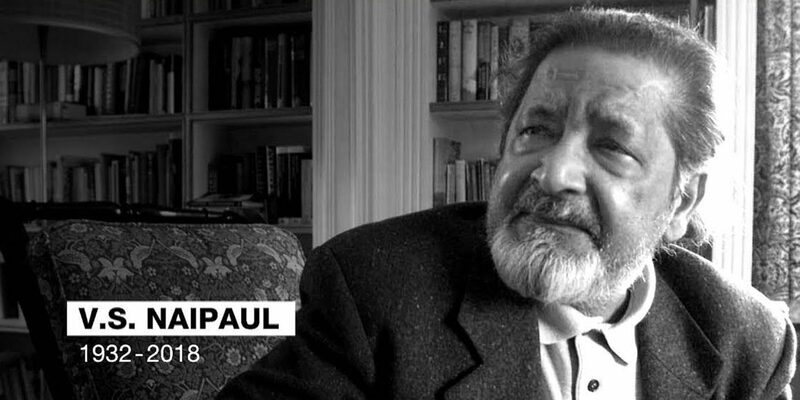 But Naipaul’s death has affected me in a personal way because, aside from the literary grandeur—including a Nobel Prize in 2001—and the blistering controversies, including charges of embittered racism by the Trinidad-born, Indian-descended, Oxford-educated novelist and nonfiction writer—that attend Naipaul’s legacy, I can say that at a crucial time in my life, he was my friend. In 1978, I returned to Wesleyan University for my junior year, after a year away spent laboring and writing in Western Canada. I soon learned that Naipaul had come to teach literature and writing that academic year, an opportunity my advisor urged me not to miss The events of that year bear all the hallmarks of Naipaul’s unique persona and art—humor, brilliance, awkward confrontations, and, yes, controversy. All of this became the subject of the first piece of serious writing I ever published, an article called Naipaul at Wesleyan that appeared in the South Carolina Review in 1980. I will not retell that story here, though memories of that potent time came pouring back when I learned of his death at 85 a week ago. I remain so grateful that Naipaul took a personal interest in me, among a very few others at Wesleyan that year—the one and only year, by the way, he even tried his hand at teaching. Vidia, as I came to know him, invited me and another student to lunches at his house with his savvy Argentine mistress, Margaret. They were exceptional hosts, and those meals were animated with fine food, good humor and provocative conversations that both challenged my assumptions and awakened new curiosities about the world. Vidia’s stern wisdom about the art of writing was bracing, and it has marked me ever since. In essence, he was the champion of straightforward simplicity, stripping away every unnecessary flourish—no matter how beloved—in service of the true essence of writing as he saw it—having something to say. In everything I have written since, I have heard that voice in the back of my head, reminding me to “kill your darlings,” to “never lie,” to be aware of the “associations” that each word you use carries. I have not always heeded that voice, and make no claim to be a protégé of any sort. But the persistence of that voice and the person it embodied stays with me always. We rarely saw each other or even communicated after that fateful year, 1978-79, a year that included the end of Zimbabwe’s liberation war, the Iranian Revolution, and the Jonestown massacre—all events that were meticulously dissected around Vidia and Margaret’s lunch table in the Wesleyan Hills. Vidia clearly saw some promise in me as a writer, though I surely disappointed him by “wasting myself” on “small publications” and failing to produce any significant work in my 20s. Yet we stayed friends. He wrote me a very beautiful letter when I faced a difficult personal decision; once again, I welcomed his advice, but did not follow it. We met twice in London over the ensuing years, the last time in 1997 when I was on my way to Zimbabwe to research my book about Thomas Mapfumo, Lion Songs. Of course, Vidia had no idea who Mapfumo was, but he did find the idea of writing about history via music interesting, and he encouraged me to pursue it. Out of inertia, or perhaps intimidation, I never sent him a copy of the book when it finally appeared nearly 20 years later. I should have. Naipaul was fascinated by Africa, though deeply pessimistic about it. Despite his conclusion that the continent could never rise, he kept coming back to it as a subject, even in his final book, The Masque of Africa (2010). His attitude toward music was complicated as well. He wrote at times about the thrill of flamenco music and dance and the unexpectedly moving voice of Joan Baez. At Wesleyan we once took in a concert by the Indian sitar virtuoso Nikhil Bannerjee. He was puzzled that Americans could possibly relate to such a remote musical tradition. Such curiosity was one of the few things he found to admire about the culture of Wesleyan University. 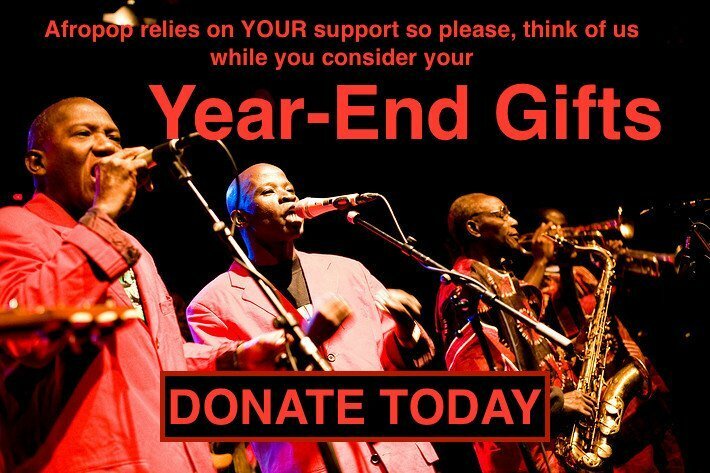 In a way, I have remained sympathetic to and fascinated by Vidia in somewhat the same way I have been with Thomas Mapfumo. I am drawn to people who are conflicted, loaded with contradictions, but passionate and clear in their ideas and path in life. So it is that this week, the songs of Aretha and the words of Vidia are entangled in my thoughts. There is little to mourn in either case: both lived full and productive lives. These are deaths that inspire reflection, nostalgia, and elegant remembrances from those touched by their work. But once the public mourning fades, it is as if they never left. For their creations, as different as they are, will outlive us all.